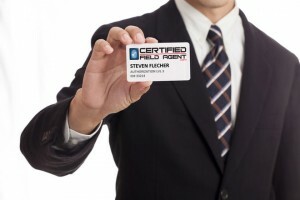 What Is a Certified Field Agent? When retrieving important data and documents such as medical records, there are certain factors that are of utmost importance including security, privacy, and speed in retrieval. Datafied recognized the importance of these areas in data retrieval and as a result, began training and utilizing Certified Field Agents to handle these tasks. Certified Field Agents are mobile data retrieval specialists who specialize in, but are not limited to, medical record retrieval. When our Agents retrieve medical data, they utilize our proprietary document encryption scanning software in order to collect the sensitive data as securely as possible. All Agents receive extensive training on policies and procedures and are then required to pass a certification exam before they can begin working as a Certified Field Agent. We do this because we want all of our customers to know that their data retrieval is being handled by specialists who have been trained up to your standards. These agents understand the importance of confidentiality in the retrieval process and have been well trained with the technologies they use so that all data retrieval is executed professionally. Data retrieval is a difficult process, but Datafied and our Certified Field Agents have the experience, technology, and procedures in place to ensure that the job is done properly. Interested in Working as A Certified Field Agent? If becoming a Datafied affiliate won’t work for you, but you are still hoping to work with Datafied then becoming a certified field agent might be the perfect option for you. Datafied utilizes one of its specialized divisions, , to hire and support certified mobile data retrieval specialists. 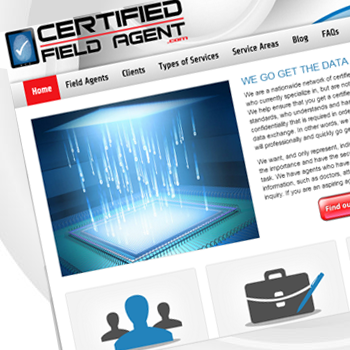 Certified field agents are highly trained professionals who are contracted by companies to securely retrieve their important data from various sources. Certified Field Agent will provide the training and will bring customers to you once you have earned all of the necessary credentials.